2 core armoured cable is a common type of pvc armoured cable. You can use it underground cabling, outdoor building sites, indoor and outdoor power stations. It belongs to low voltage(0.6/1kv) cable. If you want to buy xlpe medium voltage power cable, it hasn’t 2 core armored cable. 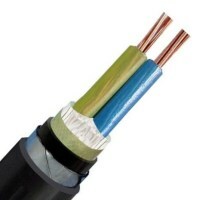 Huadong Cable Group is a low price two core armoured cable manufacturer in China, and we have been building relationship with a lot of countries, such as south Africa, America, South America, nz, aue, Malaysia, Philippines, Thailand and other countries in Asia. 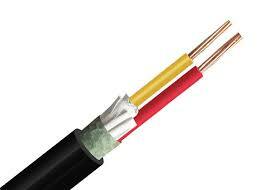 Welcome to our website, you can send the inquiry about 2 core armoured cable price. Our sales manager will send you quotation as soon as possible. Email: sales@hdarmouredcable.com. When you decide to buy high quality two core armoured cable, you should decide the cross section you want. Because there are so many hot sales product you can choose, such as 16mm armoured cable 2 core, 25mm 2 core armoured cable, 6mm 2 core armoured cable, 6mm 2 core armoured cable, 2 core 4mm armoured cable. These are the normal and popular cross section, you can also choose the big cross section, which is up to 800mm. If you want to get the picture of detailed 2 core armored cable, you can contact us right now. Email: sales@hdarmouredcable.com. How to keep 2 core armored cable normal using? In the daily using, we should operate according to the regulation. What’s more, you should also do surveillance well. If there is something happens, you can know it instantly and adopt suitable measures. You can do it from four aspects. The surveillance of overload current. For example, for 25mm 2 core armoured cable, you can get the maximum overload current through the cross section and insulation material. Therefore, you should spy on the current and the temperature of cable jacket. Once the current or jacket temperature exceed the specified value, you can take some measures to deal with it. Email: sales@hdarmouredcable.com. The surveillance of temperature. During peak time, you should spy on the temperature of 10mm 2 core armoured cable, such as summer. If you measure the temperature of underground armoured cable, you should measure soil temperature without other heat source. There is one point you should be careful. If 16mm 2 core armoured cable is buried near other heat pipe, its soil temperature shouldn’t exceed 10℃ than normal temperature. Therefore, if you want to install low price two core armoured cable near heat pipe, be careful. Email: sales@hdarmouredcable.com. The surveillance of corrosion. As we all know, we often install 2 core 4mm armoured cable underground, so the soil quality may influence the cable. If the around soil is a little wet or have some trash, it may have chemical reaction with metal jacket of armoured cable. Before installation, you should consider this point. During using, you should pay attention their condition. Now, just send us the cable you want, get the price right now.